Eklavya, The Royal Guard Movie Synopsis: The setting of the film is contemporary India. 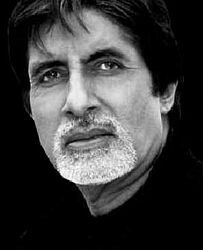 For generations Eklavya's (Amitabh Bachchan) family has guarded the Kings. His only goal in life is to protect the Devigarh dynasty, the king and the fort. The prince (Saif Ali Khan) the heir of the throne had gone to London to get away from the unfair customs of ruling. He returned for the funeral of the Queen, played by Sharmila Tagore. Raima Sen plays the role of the princess Nandini and Vidya Balan plays the role of the childhood sweetheart of the prince. When the farmers get removed from lands by king Rana and his brother. Eklavya, The Royal Guard Movie Review: Vidhu Chopra has done a great job of direction and is a master storyteller. The performance the major cast is great including Amitabh Bachchan, and Saif Ali Khan. The story has a good plot and a great climax, a must watch. The movie is just under 2 hours and provides a lot in that time for the audience to enjoy. Eklavya is a well directed and well acted movie and is worth the price at the theaters. The movie will also showcase trailers of 2 new movies, Munnabhai Chale Amerika and Talisman.